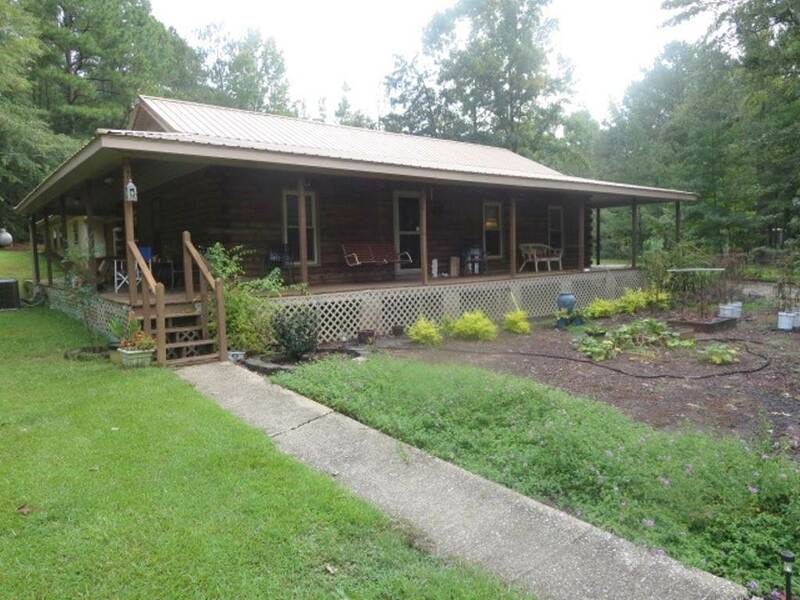 Located in a peaceful cove, this 2 BR/2 BA log home on Lake Wedowee features wrap around porch overlooking 132 ft. of shoreline on a level lot. Property includes a boat house and covered boat dock with a sink/fish cleaning area. Attached to the home is a garage/workshop along with a 2-car carport. In addition, there is a separate storage building for outdoor equipment. If you're looking for a great weekend getaway or permanent home, don't let this one slip by. Property has Lineville address but is located in Randolph County. Driving Directions: From Lineville Take Hwy. 48 East Approximately 6 Miles To A Right On County Road 880, Stay Right At Mailboxes And Continue A Quarter Of A Mile To House On The Left. From Wedowee Go 48 West For 9 Miles To Left On Cr 880, Continue As Above.